May 11, 2015 will be a day that lives in infamy for New England Patriots fans due to the four-game suspension of future Hall of Fame quarterback Tom Brady. Alas, folks are looking to cash-in on Brady’s misfortune already. 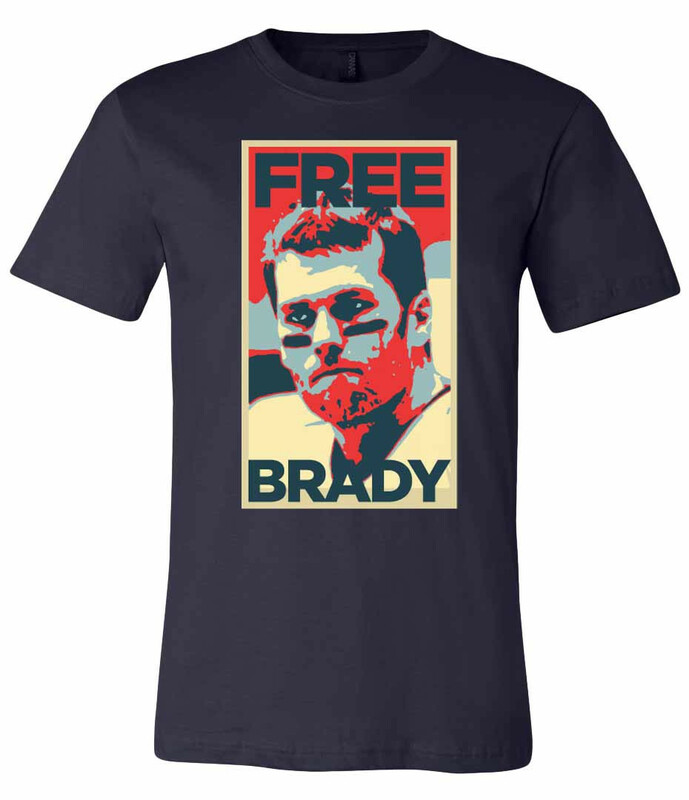 Barstool Sports is offering “Free Brady” t-shirts for $24 on their site. Here’s hoping a generous soul will order 100 of these and send them down to the NFL offices on Park Avenue in New York City.